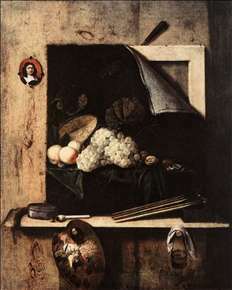 Cornelis Norbert Gijsbrechts (Gysbrechts) was a Flemish painter. He became free master in Antwerp in 1659/60. 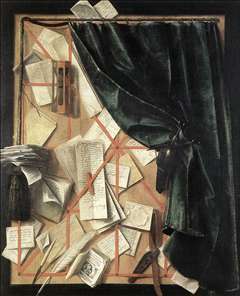 He worked most notably for the Danish court, where he was Court Painter 1670-72 in Copenhagen. 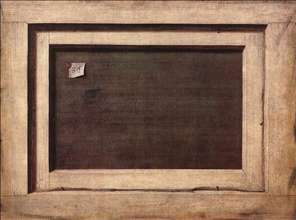 He specialized in trompe-l oeil or illusionistic paintings. 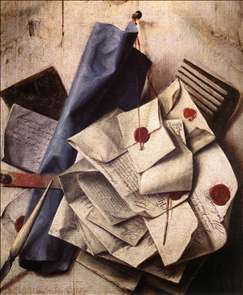 See more details about "Quodlibet"
See more details about "Reverse side of a painting"
See more details about "Still-Life with Self-Portrait"
See more details about "Trompe l'oeil"